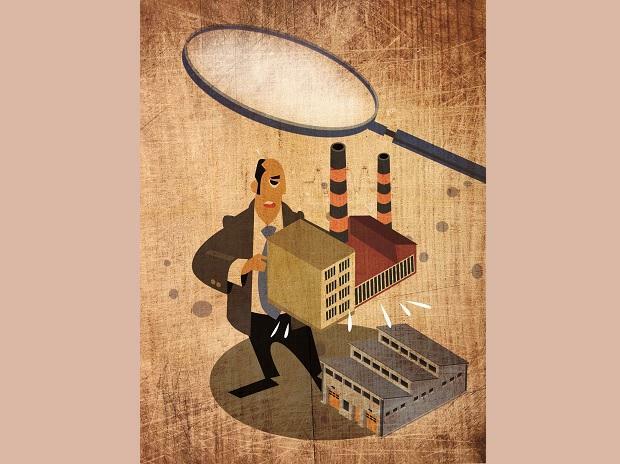 Four big-ticket National Company Law Tribunal (NCLT) cases — Essar Steel, Bhushan Power and Steel, Jaypee Infratech, and Alok Industries — will see their resolution getting pushed to the next financial year (2019-20), increasing the provisioning burden on lenders. It will also postpone the benefit of reversal of money set aside as provisions. These cases were in advanced stages of resolution, and their settlement was expected by the end of the March quarter of 2018-19. This would have brought relief to lenders in the form of release of provisions made, which could have been used for some other stressed accounts. Instead, many banks will now have to make extra provisions, said senior public sector bank executives. These accounts, part of the RBI’s first list, were classified as non-performing assets (NPAs) in March 2016, and were taken to the NCLT in 2017-18 for insolvency proceedings. In the normal course, lenders would have to make 100 per cent provisions in four years. The aggregate provisions for these were about 70 per cent, according to ICRA's estimates. Banks with exposure to Essar Steel were expecting significant write-backs on account of the account’s resolution by March 31, 2019. However, if the account remains unresolved, they would need to increase the provisions, affecting their balance sheets. For example, SBI is expecting to write back about Rs 6,000 crore from Essar’s resolution in Q4, according to a senior official at SBI. However, if the resolution does not happen, the bank would need to make additional provisions, said the official. SBI’s provisions for List 1 cases were about 66 per cent. Earlier, Mallikarjuna Rao, MD and CEO of Allahabad Bank, had said the bank was expecting a write-back of Rs 360 crore from all NCLT accounts by the end of Q4. 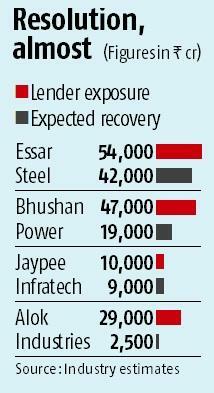 Of this, a major chunk would be from Essar, he had said. According to Mrutyunjay Mahapatra, MD and CEO of Syndicate Bank, if the Essar Steel account remains unresolved till March 31, the bank will have to make ageing provisions. In June 2017, the RBI had asked banks to refer 12 accounts with exposure of Rs 2.5 trillion to the NCLT under the Insolvency and Bankruptcy Code. Out of these, three accounts aggregating Rs 80,000 crore have been resolved: Bhushan Steel (went to Tata Steel), Electrosteel (to Vedanta) and Monnet Ispat (JSW).